Very useful and with a high level of user interaction when in use, the hob plays a key role in establishing the kitchen's character, reinforcing its personality. 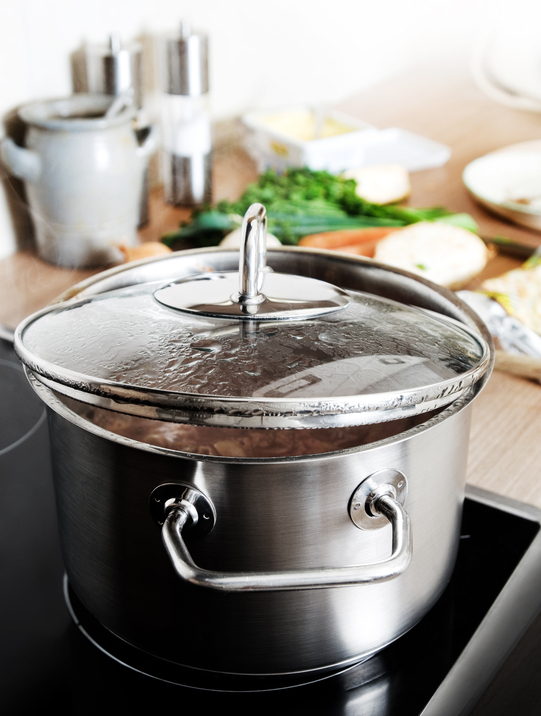 Here we will discuss two types of hob, induction and ceramic glass, to provide you with guidance on choosing the right appliance for your needs. Induction hobs are an excellent combination of stylistic elegance and function: modern, streamlined design and excellent cooking performances. They are electrically operated and have a ceramic glass surface. Induction hobs function by means of special electric coils which generate a magnetic field, which is transferred directly to the special pans (made from ferrous metals) and converted into heat. - up to 92% efficiency; there is virtually no energy wastage, cooking times are considerably shorter and energy saving is guaranteed. Like an induction hob, a ceramic glass hob has a surface in ceramic glass, a material highly resistant to heat (temperatures may reach 800°C) and thermal shock. It is also electrically operated, giving the advantage that it can be installed where gas pipes cannot be laid. Unlike an induction hob, a ceramic glass hob is heated by means of radiant plates, consisting of concentric circular elements fitted inside the hob; the heat generated by the element heats the ceramic glass and then, by transfer, the pans. - no need for specific pans. So there is a choice of investing in a product with excellent performance and energy saving, knowing that the cost will be recouped over time, or settling for a convenient, inexpensive, elegant ceramic glass hob.